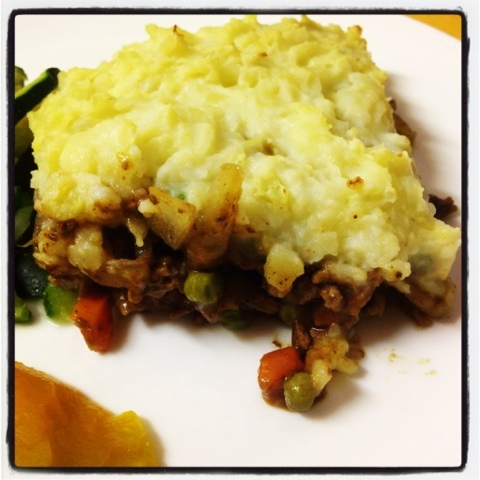 Shepherds Pie or Cottage Pie, as it is sometimes known, is another dish of the top three I would say are traditional Australian dishes. I apologise for the photo below but I hate the yellow kitchen bench I have so didn't want it in the photo this time. I made this last night and it is one of the simplest dishes to make. I'm all about making things quicker and easier and not necessarily from scratch because we all work right?! Whether you're a mum, a plumber or a lawyer (and a mum), I feel I truly enjoy cooking the fiddly, complicated things only when I have time otherwise it's all about feeding the masses as quick as possible. For this dish you will need 500g lean mince, one onion, two medium carrots, a cup of peas, five potatoes (approx), a bit of milk and butter for mashing and a packet of Maggi or Shepherds Pie mix. 8. Add some milk and butter (depending on how you like it) and mash, mash, mash! This is a great, hearty winter dish which I think would go well with a buttery Chardonnay if you happen to have one on hand. Yum! I'm going to need to make this soon! I'm glad it looks alright. I was worried the bad pic might turn people off!